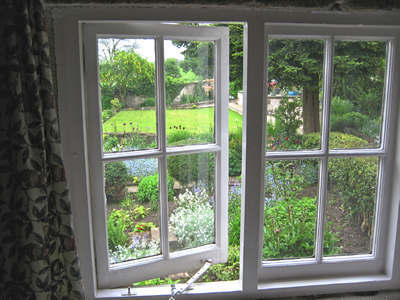 The cottage, built in the 18th Century as a home for lead miners or farm workers, is set back from a quiet side-road near the centre of the village. 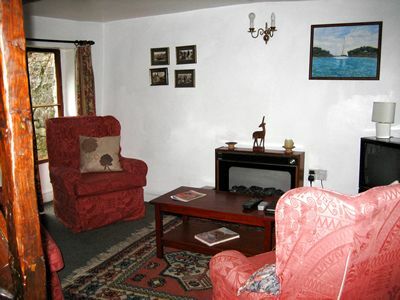 Renovated to a high standard, the cottage offers comfortable accommodation for up to 5 people (plus baby). 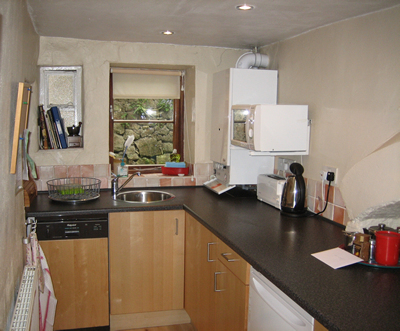 There is a well-equipped kitchen with full-sized electric oven and gas hob. There is a fridge, a microwave and a dishwasher. There is a spin dryer for the odd bit of washing. 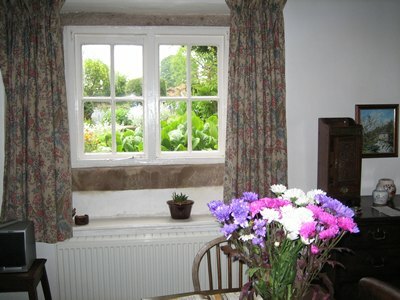 The dining room seats 6 for meals, and looks out onto a neighbour's walled garden. The lounge area has comfortable seating for 5. There is a TV with DVD player and video recorder. Upstairs, there are three bedrooms: one double bedroom, and one twin which leads through to a box room with single bed or cot). In the bathroom, there is a WC, and an electric shower over the bath. The cottage has use of its own courtyard with garden chairs for the evening sun.